Are you a customer-focused, proactive individual? Do you enjoy finding solutions to problems and helping others to be successful? Do you thrive in a fast-paced, high functioning team-oriented work environment where you can make an impact? Then we need to talk! 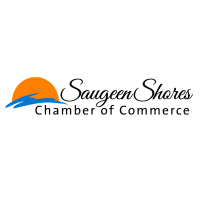 Reporting to the Executive Director, you will be the lead for the Saugeen Shores Chamber of Commerce member relationship management, engagement and recruitment efforts. In this role, you will be active and visibly present with our current members as well as prospective members that you identify and pursue. As you listen to current member’s experiences and hear their needs, you will envision opportunities for the Chamber to support those needs and create new experiences for members to connect and grow with us. We are looking for a self-directed team player to deliver outstanding strategic support and guidance to our members. We need someone with excellent communication, time and project management skills plus the passion to proactively help make our members successful. This person represents the face of the Chamber so we expect a professional and confident presence not to mention an authentic and honest demeanor. Our values guide our actions, and yours, at every interaction. as excellent administration, presentation, time management, verbal and written communication skills. Your tech skills must be at least average in MS Office (especially Word and Excel) and Google Suite (Google mail, docs, etc). Previous experience has given you the ability to move projects forward independently as well the ability to contribute to team projects. And of course, you'll bring a commitment to the mission and vision of the Saugeen Shores Chamber of Commerce. Access to a vehicle is required. Identify and pursue opportunities to grow the membership base. Resolve member issues and skillfully manage complex member problems. Manage members' expectations and experience in a way that results in high member satisfaction and engagement. Oversee the invoicing cycle of member dues and manage the resolution of accounting and financial issues, ensuring prompt payments. Follow up with members on outstanding accounts. Develop and maintain expertise in the functionality of Chamber services (Affinity partners) and utilize that expertise effectively to help members. Conduct seminars and presentations on Chamber membership and benefits. Proactively maintain and update the Chambermaster database. Support other department projects and team members as needed and attend Chamber-branded functions and events. The Saugeen Shores Chamber of Commerce offers you the unique opportunity to build relationships with some of the area's best employers and community leaders. We have an excellent team environment where experimentation is encouraged and learning is constant. Our culture is professional yet relaxed and fun! You'll be given autonomy to perform your job and a place to develop mastery. This is a part -time position (up to 20 hours per week) with a 1 year contract. Flex time is possible, accumulating your 20 hours between Monday through Friday 9am to 5pm. However, some early mornings/evenings and weekend work may be required when necessary. Financial compensation ranges from $20,000 – $30,000/year (includes a base salary + commission). If you believe you have the skills to drive our members’ success and to provide impact to the Saugeen Shores Chamber of Commerce, we encourage you to apply. The closing date for applications is APRIL 25, 2019. While we thank all applicants, only those selected for an interview will be contacted. Saugeen Shores Chamber of Commerce is an equal opportunity employer.